Editor’s Note: You’ve read our timeline of Apple’s first 30 years. To put those events in perspective, our sister publication Macworld UK tapped Apple Confidential 2.0 author Owen W. Linzmayer to pick the 30 most pivotal events in each of Apple’s 30 years of existence. This article is reprinted from Macworld UK ’s April 2006 issue. On April Fools’ Day, Apple Computer Company is founded in a residential garage by Steve Jobs and Stephen Wozniak, both college drop-outs. Fearing financial ruin, the third co-founder—Ronald Wayne—relinquishes his 10 percent stake in the partnership for only $800 less than two weeks later. Honorable Mention Markkula Writes Business Plan: In November, chip industry veteran Mike Markkula helps Jobs write a business plan, predicting sales of $500 million in 10 years. Engineers from Apple get a peek at the future of computing when they visit the labs of their Silicon Valley neighbor. Lisa and Mac projects soon adopt graphical user interfaces. Honorable Mention Personal Software Releases VisiCalc: The world’s first spreadsheet runs exclusively on the Apple II, sending Apple’s hardware sales through the roof. IBM introduces its $1,565 personal computer. Though it sports unimpressive technical specifications, the masses don’t care, and within two years IBM’s market share eclipses that of Apple. Honorable Mention Apple’s First Shakeup: Following the “Black Wednesday” firing of 40 employees, Markkula replaces Scott as president, Jobs becomes chairman, and Woz takes a leave of absence. Microsoft begins developing mouse-based applications for Apple’s secret Mac project, but also begins work on a graphical user interface (Windows) for the IBM PC and its clones. Honorable Mention Raskin Resigns: Recognizing that Jobs has wrested control of the Macintosh project away from him, Jef Raskin resigns. John Sculley, president of Pepsi-Cola, succumbs to Jobs’ promise of a “chance to change the world” as president and CEO of Apple. Honorable Mention Lisa Introduced: The $9,995 Lisa is the world’s first commercial computer with a mouse and GUI, but it bombs due to high cost, slow speed, and incompatibility. After losing a boardroom struggle with Sculley, Jobs resigns from Apple, taking a loyal band of employees that would start NeXT. Honorable Mention Microsoft Granted Mac License: In exchange for delaying a Windows version of Excel, Apple grants Microsoft a license to use some Macintosh technology. Combined with Aldus PageMaker, the Mac Plus and LaserWriter Plus allow printers, graphic artists, and publishers to create professional documents for a small fraction of the cost of traditional equipment. 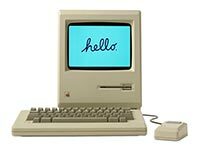 Honorable Mention Apple IIGS Introduced: Recognizing that Apple II sales still exceeded Mac revenue, execs OK the release of the $999 Apple IIGS, with many Mac-like features, including ADB, QuickDraw, and GUI. Honorable Mention Newton Project Starts: Eager to reinvent personal computing yet again, Apple undertakes hardware engineer Steve Sakoman’s proposal to create a portable device with wireless networking and handwriting recognition. Apple’s hope of obtaining legal redress is squashed as a judge throws out all but 10 claims against Microsoft. Executives squabble over how to boost the Mac’s sliding market share. Honorable Mention Mac Portable Ships: Apple unveils the $5,799 Macintosh Portable, a 16-pound “no compromise” product with active-matrix LCD, full keyboard, trackball, sound output, and optional hard disk. Responding to criticism that its products were overpriced, Apple releases a trio of “low cost” models: the US$999 Mac Classic, $2,400 Mac LC, and $3,800 Mac IIsi. Despite artificially imposed technical limitations, they sell so well that Apple’s margins fall, frightening investors. Honorable Mention Apple Invests in ARM: Apple pays US$2.5 million for 43 percent of ARM, maker of the CPU in the Newton. By the end of the decade, Apple would sell these shares for $792 million, covering all Newton losses, and keeping the company afloat during its darkest days. Recovering from the Mac Portable embarrassment, Apple does laptops right with the release of the PowerBook 100, 140, and 170, all fully-functioning Macs in attractive, lightweight designs. Apple becomes the standard bearer in the portable market. Honorable Mention Apple Partners With IBM: Making amends with its old nemesis, Apple announces a major partnership with IBM to produce a multimedia engine, an operating system, and computers based upon Motorola’s RISC-based processor, the PowerPC. After years of playing catch-up with the Macintosh’s ease of use, Microsoft’s Windows 3.1 is widely seen as good enough. Apple’s 15 percent market share begins eroding even faster. Honorable Mention Ive Joins Apple: 25-year-old Londoner Jonathan Ive joins Apple’s Industrial Design Group to work on the MessagePad 110. Within six years, he’ll rise to become the creative force behind the iMac, a product that arguably resuscitates Apple. 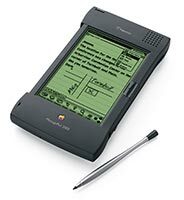 The $699 MessagePad establishes the personal digital assistant (PDA) market, but its lousy handwriting recognition disappoints many, ending the tenure of Sculley, Newton’s chief proponent. Honorable Mention Apple’s Microsoft Suit Dismissed: Apple loses all hope of estopping the Windows juggernaut when its copyright infringement lawsuit against Microsoft is finally dismissed. A decade after the 8MHz Mac 128K shipped, Apple makes a bold technological leap to a completely new architecture with PowerPC-based models starting at 60MHz, while maintaining backwards compatibility. Honorable Mention First Mac License Granted: Desperate to boost market share, Apple finally agrees to allow third-party vendors to create legit Mac clones. Differences between the Mac’s user interface and Windows are erased in the public’s mind with Microsoft’s $200-million launch of Windows 95. Honorable Mention First Mac Clone Ships: Power Computing, the first Mac licensee, ships the first Mac clone. It’s faster and cheaper than anything Apple offers. Newly-installed CEO Gilbert Amelio shocks Mac users by killing Copland operating system project in favor of buying Next Software from long-exiled Steve Jobs. Honorable Mention Amelio Obtains Financing: Following a $740 million quarterly loss, Apple has only five week’s cash on hand. Amelio pulls off miraculous debt issue, keeping the ailing company alive. Officially brought on as an advisor following Next purchase, Jobs subtly orchestrates the removal of Amelio, then assumes the role of interim CEO. 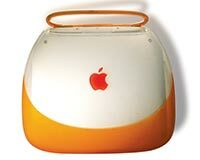 Honorable Mention Apple Ships Mac OS 8: To placate the faithful as they wait for a next-generation operating system, Apple releases Mac OS 8.0; it features PowerPC-native Finder, contextual menus, Personal Web Sharing, and other new technologies. 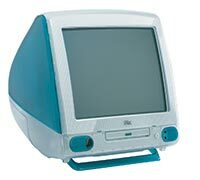 Dubbed “the Internet-age computer for the rest of us,” the original Bondi blue iMac announces to the world that Apple is still a force to be reckoned with. The $1,299 consumer computer becomes the fastest Mac model ever. Honorable Mention Mac OS X Strategy Revealed: At the Worldwide Developers’ Conference, Jobs tells developers that Mac OS 8.5 and Rhapsody are only stepping stones to Mac OS X, a truly advanced operating system that would maintain backwards compatibility. Apple gives its portable line-up the iMac treatment, releasing the consumer-oriented iBook featuring an optional AirPort Card that helps kick off an industry-wide Wi-Fi craze. Honorable Mention Mac OS 9 Ships: Mac OS 9 is the last major update to the “old” Mac operating system, setting the stage for OS X with features such as multiple users, Keychain, automatic updating, encryption, Internet File Sharing, and Network Browser. Nobody realizes it at the time, but the tiny $399 iPod with its 5GB hard drive capable of holding 1,000 MP3s will soon transform not only Apple, but also the entire music industry. Honorable Mention Mac OS X Ships: After years of waiting, Mac users finally get memory protection, preemptive multi-tasking, symmetric multiprocessing, and more, but the initial release of Mac OS X isn’t quite ready for the masses. 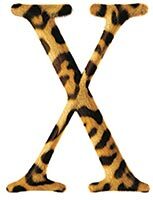 Mac OS X 10.2, code-named Jaguar, is ready for prime time, with many improved features, including Mail, iChat, Address Book, Inkwell, QuickTime 6 with MPEG-4, improved Universal Access, enhanced Finder, Sherlock 3, Quartz Extreme, and Rendezvous. 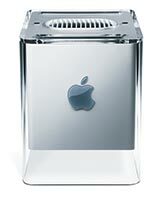 Honorable Mention Mac OS X-Only Booting Announced: Apple drives a nail into Mac OS 9 when it announces that starting January 2003 all new Macs will be boot into Mac OS X only, though users can still run older programs in Classic mode. Building on its iPod success, Apple opens the iTunes Music Store with over 200,000 tracks available for 99 cents each. Honorable Mention Apple Delivers Year of the Laptop: Jobs unveils the world’s first laptop with a 17-inch display, as well as a 12-inch PowerBook that’s the smallest notebook Apple has ever made. 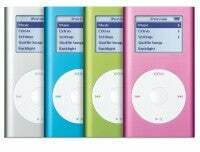 Reversing a trend towards iPods with increasing capacity, Apple introduces the iPod mini with a 4GB hard drive in a physically smaller aluminum body available in an assortment of colors. Honorable Mention iMac is Flattened: The iMac G5 features a stunning new design that integrates all components into the flat panel display that’s just two inches thick. After more than 20 years of Macs based upon Motorola processors, Apple announces that future Macs will use CPUs from Intel. Honorable Mention Video Arrives in iPod: Hoping to do for video what it did for audio, Apple adds the ability to play movies on new iPods.